In our first chapter, learn how to build out one of the most critical components of your survival kit – the optimized press release. When it comes to SEO, the optimized press release is a valuable tool that’s often overlooked. By using the right mix of keywords and messaging, anyone from a seasoned public relations executive to a newly-minted pro can distribute a release through online channels that can be seen by thousands of journalists and prospective customers within seconds of dispatch. Develop your optimized press release by leveraging the following five tips. Fundamentally, a press release should first focus on the announcement being delivered and the content within the release. This means that the content must be newsworthy and well-crafted before optimization even enters your mind.The success of the optimization is dependent, in many respects, on the content of the release. Develop your concept and establish the who, what, where, when and why. And prepare to spend your mental energy drafting insightful content. Many press releases are boring and based on writing like a formula the includes all of the required information. While it’s true that you want to include the 5 W’s, you should also keep in mind that the person reading your release is human and may not be a journalist (yes, people find and read press releases online). For this reason, in addition to covering the basics, you also have to write copy that is engaging. Before drafting your optimized press release, you had to develop a concept that clearly defined what your release will be about. Next, you’ll need to brainstorm and write down a list of keywords or phrases that support this concept. To help with find keywords, ask yourself this question: “How does my audience describe my product or service before they know it by name?” Oftentimes, the answers to this question will identify the keywords that your audience uses when searching for your product or service online. Your final step in the keyword selection process will be to verify that the list of keywords you have chosen will boost organic search traffic. Online tools like Google Webmaster Tools, Moz and SEMrush, can help with this final step. They offer valuable information such as search volume, keyword difficulty, related keywords and many other statistics. Your keywords do not need to be used with any frequency beyond what is needed in natural conversation. While there is no rule on this, the key is to make your release sound both on point and natural – do not stuff the keywords into sentences, or try to awkwardly place them where they shouldn’t otherwise be. In the end, if the release is filled with too many keywords, this could negatively impact your release performance. Readers of your optimized press release, as well as search engines, will look to specific locations within your release in order to extract meaning. When we read, we first take in copy, automatically scanning the content we see. We do this by reviewing content that appears up and to the left and front and center (for example, reviewing the first part of a headline, a subhead and an opening paragraph). Search engines were built to determine meaning in the same way and will use this determination — in part — to prioritize search engine ranking. Ensuring your release is drafted with the most important keywords up and to the left – and front and center (first part of a headline, subhead and opening paragraph) – is the underlying force behind developing an optimized press release. And luckily, alerting your readers to your main concept up front and early isn’t just optimization best practice, but writing best practice, as well. Due to several different Google Panda updates, major search engines are more liable to treat press releases as advertisements and therefore poor quality, thus causing them to be negatively impacted in their search engine indexing. One of the ways that you can combat this is by using links sparingly — an overuse of keywords or links can hurt the release, so only use good links. Do not link to the same website several times, and only chose ones that are informational. When starting out a press release, it is recommended that the first link is a naked link, meaning one that is not live, i.e. google.com, yahoo.com, etc. This is a strong SEO tactic for improving the search engine indexing on your release. Additionally, you should keep the number of links within the release to three or four per release. This should keep the release from being viewed as an advertisement by most major search engines. It is good practice to include all links to your home page at the end of the release, in the boilerplate (About section). Most people who are reading through the release will know to locate the company homepage there, and thus, keeping it at the end of the release amongst the company information makes sense for readability and SEO. In chapter two of our Online Discoverability Survival Kit for Small Businesses, we will show you how to take your release to the next level as we share how to develop a multimedia release. Today’s press release is far removed from a single piece of paper faxed or hand-delivered to your audience. Courtesy of online press release distribution sites, today’s press releases reach an audience of millions within seconds and carry with them interactive experiences. 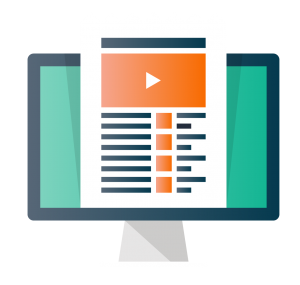 From the inclusion of images and videos to podcasts, multimedia press releases are three-dimensional interactive experiences. When done properly, the story of your release can enter a reader’s mind through the sense of sight and sound, rather than simply through printed words on a page. If you are seeking a holy grail that will ensure your message resonates, you needn’t look much further than adding interactive multimedia assets to your release. Long sections of block copy, regardless of how well written, appear as work for the reader. And, unfortunately, if work is a requirement to read online content, the online content in question will often time be abandoned. It’s a best practice to include one main image within your release and to attach additional images alongside the release.This provides the eye something else to focus on, and a new layer of content to give context to your story. The inclusion of images gives a richer feel to your content, helping your multimedia press release cut through the sheer volume of competition online. If each picture is worth one thousand words, the value a video — made up of thousands of individual image frames — borders on astronomical. An embedded video, timed at 1 – 3 minutes, will do more than just grab the attention of your reader. Instantaneously, your story transforms from two-dimensional words on a computer screen to a three-dimensional story complete with a storyline, characters and imagery. This is what audiences remember, and this is how your message becomes vivid in the mind of the audience. Look for press release distribution services that offer the ability to embed a YouTube or Vimeo video that can offer multimedia press release capabilities. Today’s stories travel at the speed of social — and trust us — the speed at which a social network can communicate news is alarming. Tying your multimedia press release into these networks is one of the surest ways to ensure your messaging will resonate throughout large swathes of your target audience. During and after distribution, help your multimedia press release travel socially by linking it to a variety of social media services that allow users to read and rate your content. And, remember to bookmark your release to social sites where your audience gathers to freely read — and better yet — share, content. Not every press release distribution site will be supportive of multimedia press release components. Prior to distributing your release, ensure the channel you select will be supportive in sharing the three-dimensional story you are working to put together. Just as a tree falling in the forest will not make a sound, unless we are there to hear it, our videos and images will not be seen unless they are distributed on a channel that will support them. In chapter three of our Online Discoverability Survival Kit for Small Businesses, we help you build relationships with those who can help spread your message — bloggers. If you want to increase SEO and online discoverability for your business then you will need the help of influencers like bloggers. These influencers have access to built-in audiences of engaged followers that trust them. A good public relations professional would never dream of pitching a story to a large influential media outlet without first getting to know the publication from cover to cover, and journalist to journalist. This scenario should really be no different when building blog relations but it’s a common mistake. The danger inherent in Odden’s quote is that a blogger is typically unfettered by any editorial guidelines or time restrictions. If you happen to catch an influential blogger with the wrong pitch on the wrong day, there is very little that prevents your entire pitch from being torn apart minutes later — in a blog post read by thousands. While this is a more extreme example of what could happen, it highlights the importance of research before outreach. The beauty of social media, of which blogging is a cornerstone, is the one-on-one and straightforward level of communication that it’s defined by. Because of this, some of the purest bloggers will reject any sort of email pitch altogether. Fortunately, the easiest way around this is to simply toss away the marketing language we’ve learned in favor of the plain language communication style we inherently know. Unless, of course, the blogger in question happens to write about marketing. The relationship between you and a blogger needs to be mutually beneficial. So, if you need them to help you capture success in a new and unfamiliar environment, discover what it is they need — and offer it up freely, without reservation. This is not simply a cornerstone of blog relations but is crucial for building any type of relationship. To survive, what most bloggers need are interesting topics to write about. If you’ve followed tips one through three and find yourself holding the content the blogger needs, you’re likely just an email away from achieving the coverage you desire. To truly think like a blogger, become a blogger. The best part of starting a content program is that it automatically transforms you into your own media and publication channel. Rather than always counting on influencers to get your story out, you now have your own channel. All you need to begin building online awareness for your product or service is the time to write and publish your own content. Of course, now that you have your own blog, you’ll be free to borrow time against your blog relations efforts. Many PR professionals are brought up to believe that a story or pitch must reach perfection before it is sent out to the world. When you spend too much time crafting the perfect story you give way for your competitors’ stories to burn fast and bright. Understand that breaking a story today does not always require the creation of a 1,000-word byline. Stories can break in 140 characters or less – and they do so every hour, of every day. Chapter four of our Online Discoverability Survival Kit for Small Businesses offers four tips to start building media relations on Twitter. This is a common theme through each part of our survival kit, modified with a focus on media relations. Just as more consumers are joining Twitter, more influencers are joining Twitter. For evidence of this fact check out Cision’s blog post about the top 50 influencers on Twitter. 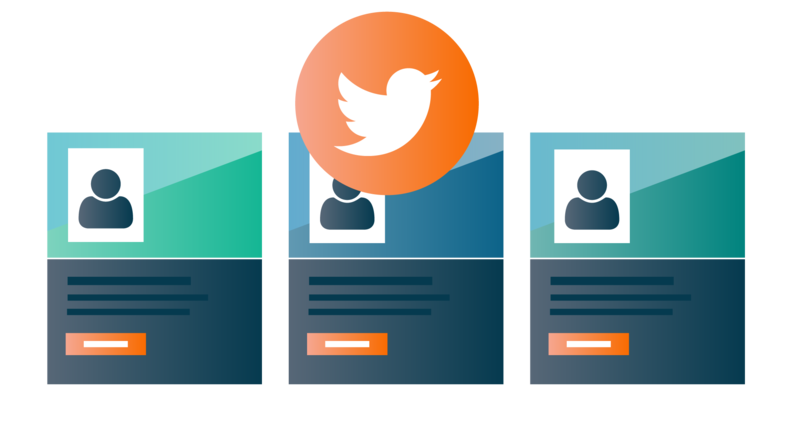 Many journalists and influencers join Twitter for the express purpose of building relationships with PR professionals or sources who can help them enhance their stories. The key is to find and follow the right people and listen to what they say and what they need. By listening you can begin to understand what interests them and later use that knowledge when reaching out. After you’ve developed the core list of influencers that you want to follow and spent time listening to their interests and needs, then it’s time to start sharing. But, before you share with the journalists you are hoping to reach, you’ll want to cultivate a following of your own by Tweeting content of value, Retweeting, and engaging with others who align with your interests. When it’s time to share with the journalist, begin by offering little more than an introduction and an invitation to connect with you. Of course, by this time, you’ll have positioned yourself as a valuable resource courtesy of the content you’ve been sharing with your existing network. And in the eyes of a journalist, having a robust Twitter feed can transform you from a PR bug worth swatting, to a PR eagle worth following. When thinking of how to connect with journalists via Twitter, don’t forget the simple connection that can be made by helping them answer questions. Watch for Tweets from journalists/bloggers, etc. and help them. If you are the company providing content, you will likely be the company sourced in the article. There are dozens of tools that can help your Tweets burst into coverage. The key is to be aware of all the tools you have at the disposal of your media relations campaign. Get started with Brandwatch’s list of 22 PR Tools and Resources. Social media offers a powerful new way to connect with influencers who can help raise the awareness of your small business. By becoming active on Twitter you open up a whole new world of business opportunities. In the fifth and final part of our survival kit, we offer five tips for how to build PR value through Facebook. Like Twitter, Facebook is another powerful way to connect with influencers whose interests align with yours. And, with 1.9 billion active monthly users is a channel you can’t afford to ignore. In this section you will learn how to listen, build a community, get in front of influencers and prepare for the road ahead. To help frame this, think for a moment about how ubiquitous Google’s brand name is with search (i.e. you would never suffer a moment of confusion were you to hear of someone ‘googling’ something.) And now, despite Google’s prevalence in our global culture, there is a channel that shows the potential to become even more popular. This should not be taken to mean, of course, that Google is in danger of losing out on search queries to Facebook. It’s still the top search engine, but this data highlights the enormous opportunity Facebook offers when it comes to connecting with customers and influencers who are looking to consume and share content. A common theme throughout our Online Discoverability Survival Kit is the notion of listening. And just as with nearly every other section in our guide, listening is critical to any attempt at Facebook PR. In regards to Facebook PR, your prime objective in listening will be to find ways to build your community and the best way to do this is to learn more about what your target audience needs. Start by joining and listening to the dialogue happening in groups that are related to your industry. After you’ve spent time listening, offer something of value that the group needs — whether it’s a comment, advice or link. Start slow, with just a toe in the water. While it may seem counter-intuitive to your PR efforts to not develop a direct “pitch,” this more gradual effort can quickly help build up your status in the community as a source of value rather than promotion. Facebook is a borrowed house (you may have a page but Facebook owns it) that is built on advertising revenue. In fact, Facebook has overtaken traditional media companies when it comes to making money from ad revenue. 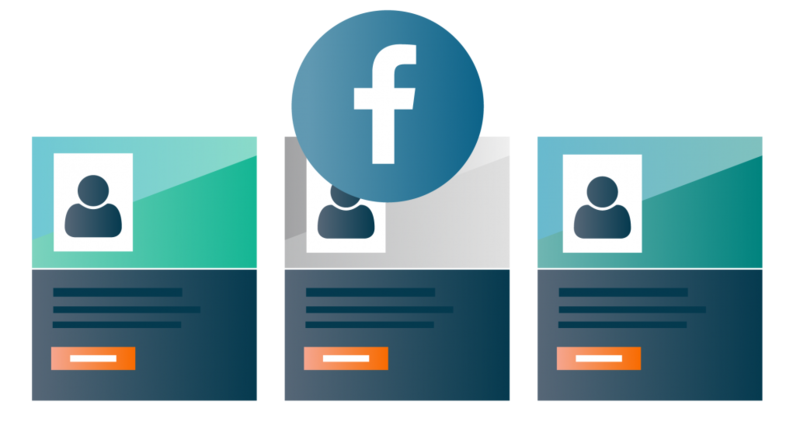 Prior to 2014, organic reach (the ability to reach people who liked your page without paying for an ad) was the primary way companies reached their followers. But, Facebook changed their algorithm and nearly killed organic reach. This now means that in order to build a following you will need to create amazing content and put ad spend behind it. However, there’s still some good news, it doesn’t require a lot of money to get started (you can boost a based on your budget and how many people you want to reach) and you can hypertarget the people you want to reach. You can even target the influencers you hope to get your news in front of! A story from the Wall Street Journal details how companies are now targeting journalists with ads on Facebook. But beware, you should always ensure that the content your promoting is newsworthy and adds value. Otherwise, you will either be ignored or ostracized. While we save this tip for last in our five-part Social Media Survival Guide, it is perhaps most important to everything from Facebook PR, to building blogger relationships to optimizing press releases — always be aware of what is coming next. Keep your eyes to the horizon of the industry and be proactive in capitalizing on the newest digital channels. When you build your house on borrowed land (like Facebook) you risk losing access to your audience. This illustrates why it’s important to not only leverage the power of earned media, but also to create content on owned channels like a blog. By combining the power of paid, owned and earned media you will have everything you need to succeed online. And, now thanks to this guide you will know how to use all of these powerful marketing tactics.